Wanted to be first one last time. Looks like it’s one more day or so till this is over. What am i going to do with my time? Know whats sad about my post? I am a little sadden! 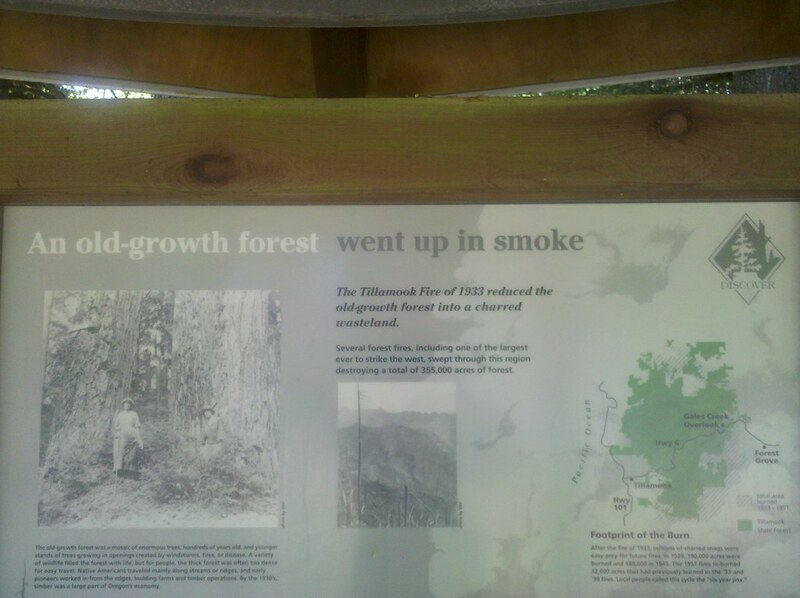 and yet the forest survives to this day…. This photo was taken yesterday in Idiotville, Oregon!!!!! FINALLY!!! a place we’ve all come to know(about) and love! well, sorry if that was misinforming, i just cut and paste what Flickr showed. i am such an ‘idiot’. History lesson #..????? I love these kind of things along the paths. It helps to know what it is you’re looking at and what was once there. Thanks Matt for this.